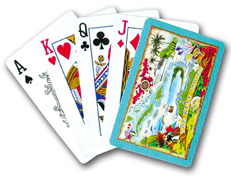 Deck of 54 Cards. Traditional Playing Card Faces. 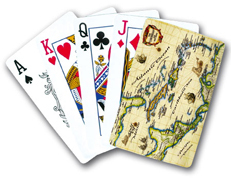 Back of the cards features the map of the Caribbean Sea. 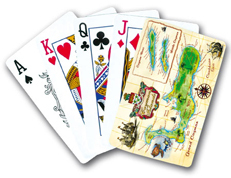 Back of the cards features the map of The West Indies and the Caribbean Sea. 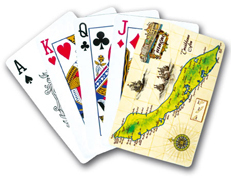 Back of the cards features the map of Barbados. 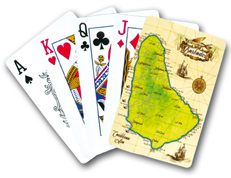 Back of the cards features the map of The Cayman Islands. 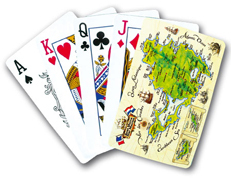 Back of the cards features the map of Curaçao. 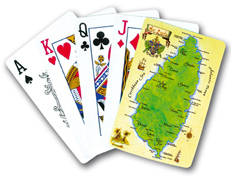 Back of the cards features the map of St. Lucia. 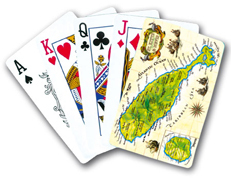 Back of the cards features the map of St. Kitts & Nevis. Back of the cards features the map of the St. Martin/St. Maarten.